This short is an early 1930's U.B. Iwerks cartoon featuring a fairy tale/nursery rhyme mashup. There is some nice early '30s jazz in this film. From the Internet Archive, here is The Big Bad Wolf. This morning's Sunrise Serenade was "Elmer's Tune" by Benny Goodman and His Orchestra with Peggy Lee on vocals. Click on the song title to listen courtesy of Jazz On Line. Join us to experience the greatest race on earth! The Race of Gentlemen is an automotive carnival that celebrates American racing heritage. A true homage to automobile and motorcycle history, hosted by the Oilers CC/MC. Spectators and racers alike will experience a simplier time of when guys were gentlemen and cars were king! Stultz & Green Productions will exhibit their hand-selected group of gentlemen, who will showcase their pre-war machines at the water’s edge on the beach of Wildwood, New Jersey. Commonly referred to as TROG for short, the carefully curated event will give you a history lesson and an unforgettable weekend, all rolled into one. Race fans, hold onto your seats while vintage motorcycles and automobiles battle it out on the shore against the rising tides for your viewing pleasure. Indian, Harley Davidson, Excelcior, Ford, Dodge Brothers and more! An extraordinary display of why America’s love for vintage automotive will never fade. Do not miss your chance to see these fine men flog their jaw dropping machines on the sand, just like in days gone by. Come one, come all to watch in awe as they roar at the shore! They are series about being period correct. Competition cars must have a body that is 1934 or older, and American made. The engine must be 1948 or older, and run only on gas (no alcohol or nitro). Transmissions can be up to 1953, but modern disc brakes, alternators, etc. One of these days, I hope to visit one of these events, and in my wildest dreams, build and race a car there. Today's Sunrise Serenade was "That's What I Like About The South" by Phil Harris and His Orchestra. Click on the song title to listen courtesy of Jazz On Line. The playlist for the April 26, 2017 broadcast of the Swing Shift Shuffle has now been added to the playlist filing cabinet. The Hemmings blog has been finding some interesting items for its "Find of the Day" recently. Yesterday, for example, the featured car was the above 1941 Graham Hollywood. I've always found the Hollywood interesting, because it was the second partial resurrection of the 1936 Cord 810 sedan (below). Cord, along with its sister companies Auburn and Duesenberg, closed up in 1936. Graham was in dire straits in the late 1930's, and as part of a last gasp, it struck a deal with another automobile manufacturer, Hupmobile, that gave it access to the late Cord's dies and tooling. 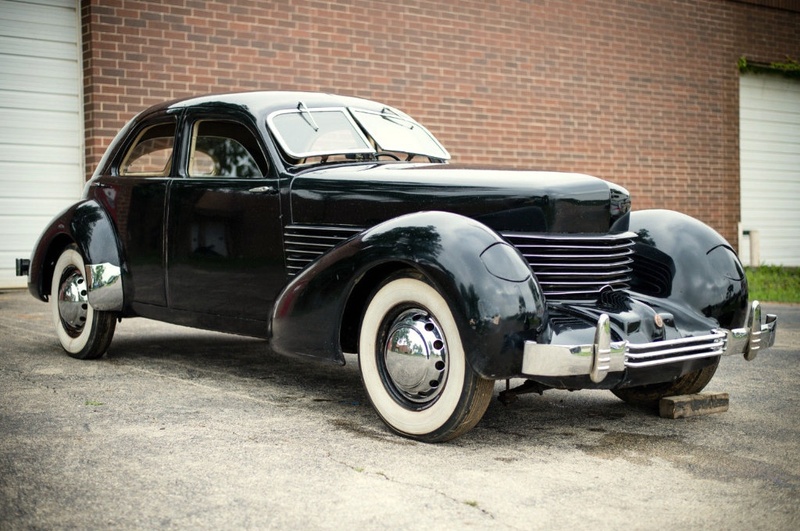 Hupmobile ended up getting the dies and tooling from Cord's creditors, and tried to resurrect the Cord itself in the Skylark (below), but it had problems with production. So in 1941, Graham produced the Hollywood. Like the Cord, the Hollywood had a high horsepower, supercharged engine. Unlike the Cord, the Hollywood was a traditional front engine/rear wheel drive layout; as opposed to the Cord's advanced, front wheel drive design. Neither the Skylark nor the Hollywood featured the Cord's distinctive "coffin" nose or retractable headlamps, but the exterior design was otherwise the same. This repeated resurrection of the original design demonstrates why the Cord, and its subsequent iterations, are considered classics. This morning's Sunrise Serenade was "Pent Up In A Penthouse" by Fats Waller. Enjoy the video from YouTube. The Red Hot Lindy Hop lessons and sessions continue at the Rumba Room this Friday night. Free beginner lesson at 7:00 p.m. Free admission before 7:00 p.m. and $5 thereafter. Lesson by Ceasar and Joy with music by DJ Joy. Today's Sunrise Serenade was "Bogo Jo" by Lionel Hampton and His Orchestra. Click on the song title to listen courtesy of Jazz On Line. 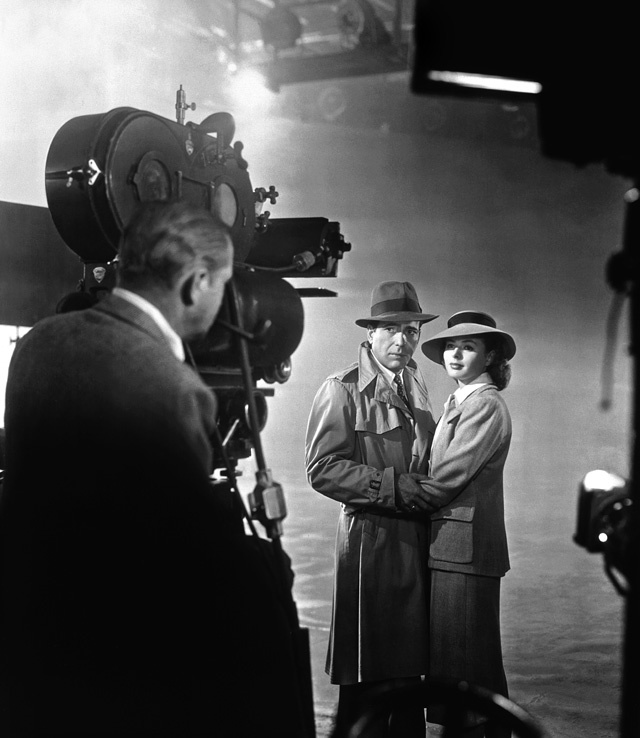 Only about a dozen of these "behind the scenes" shots from the filming of Casablanca, posted on Vintage Everyday, are actually "behind the scenes;" i.e. - showing filming or the cast and crew on the set. The remainder are either studio publicity shots or frames from the film. Nevertheless, they are a great collection of images from one of the best movies of all time. 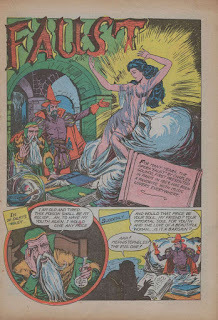 The legend of Faust has been in print since at least the 16th century. Four Color Shadows posted this short, comic book version of the story. Today's Sunrise Serenade was "Personality" by Johnny Mercer. Click on the song title to listen courtesy of Jazz On Line. The playlist for the April 19, 2017 broadcast of the Swing Shift Shuffle has now been added to the playlist filing cabinet. 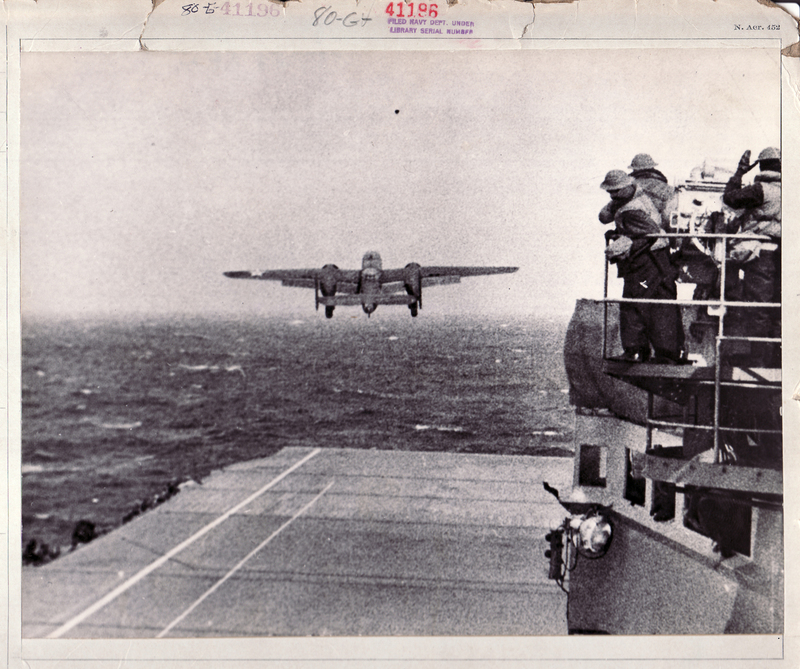 As noted by the National World War II Museum, seventy-five years ago yesterday, Lt. Col. James Doolittle led a flight of 16 B-25 Mitchell bombers off the flight deck of the USS Hornet in the western Pacific. Their destination? Tokyo. This mission was the first aerial bombing attack on Japanese territory after the Japanese attack on Pearl Harbor in December 1941. It was also the first attempt to launch medium bombers off the deck of an aircraft carrier. Of the 16 planes on the mission, one landed in Russia, and the others crash landed or the crews bailed out over China. Although the attack did little physical damage, the impact on both the American and Japanese morale was significant. Three days after the mission launched, President Roosevelt responded to a reporter's question that the raiders were launched from a secret base in "Shangri-La," a fictional Tibetan monastery featured in the book and movie Lost Horizon. This morning's Sunrise Serenade was "What A Deal" by Martha Tilton. Click on the song title to listen courtesy of Jazz On Line. The Red Hot Lindy Hop lessons and sessions continue at the Rumba Room this Friday night. Free beginner lesson at 7:00 p.m. Free admission before 7:00 p.m. and $5 thereafter. Lesson by Jason and Camille with music by DJ Camille. Today's Sunrise Serenade was "Painted Rhythm" by Stan Kenton and His Orchestra. Enjoy the video from YouTube. 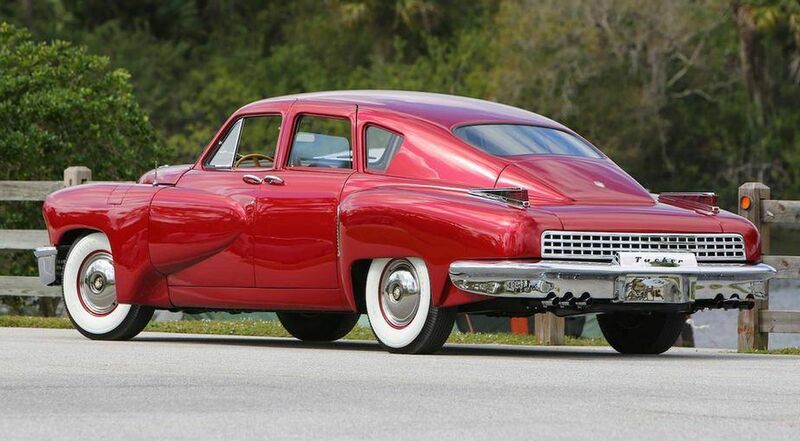 As seen on the Hemmings blog, for a mere $1.1 million, you too can now own what is essentially a brand new, original 1948 Tucker Model 48, a/k/a the Tucker "Torpedo." 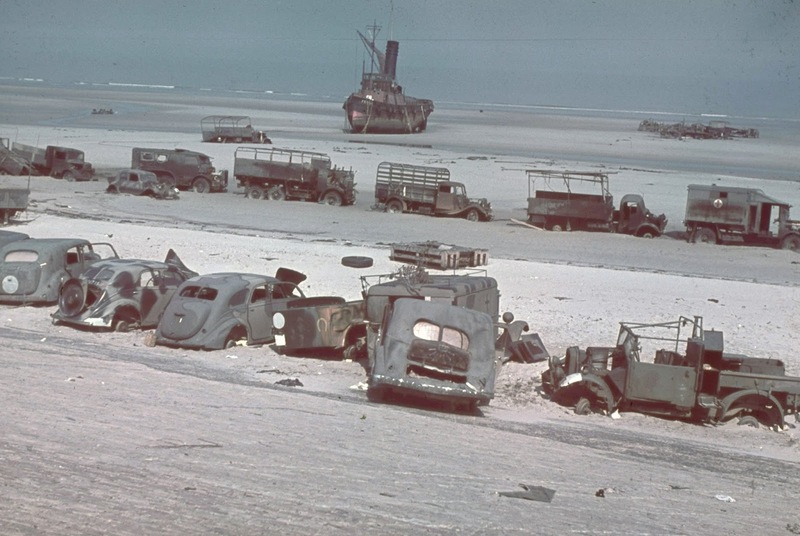 Tucker only produced 51 of these vehicles before stopping production, and only 47 are known to exist. This 48th vehicle was assembled from authentic Tucker components and a drive train that were either salvaged from other Tuckers or never used. This morning's Sunrise Serenade was "Life Is So Peculiar" by Louis Armstrong and Louis Jordan. Enjoy the video from YouTube. Since tax time is upon us, Donald Duck returns with his annual income tax message. Walt Disney made this animated short for the U.S. Government to encourage people to save their money so they could pay their income taxes and support the war effort. From the Internet Archive, here is the 1943 animated short, The Spirit Of '43. This morning's Sunrise Serenade was "Reet, Petite And Gone" by Louis Jordan. Enjoy the video from YouTube. 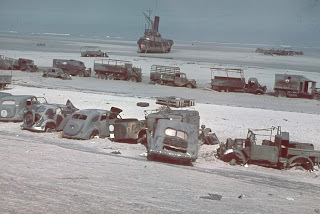 Vintage Everyday posted this series of photos showing equipment left behind by the British Expeditionary Force in France after it evacuated the continent at Dunkirk. Today's Sunrise Serenade was "Long About Midnight" by Louis Prima and His Gang. Click on the song title to listen courtesy of Jazz On Line. The playlist for the April 12, 2017 broadcast of the Swing Shift Shuffle - the 2017 Spring Pledge Drive Special: "Blue Skies" - has now been added to the playlist filing cabinet. Spring Pledge Drive Special - "Blue Skies" - Tonight! WEVL (home of the SSS) is in the middle of its 2017 Spring Pledge Drive, and tonight's SSS Pledge Drive Special is "Blue Skies!" I'll be playing music designed to "Accentuate the Positive," and cheer you up whether you need it or not! 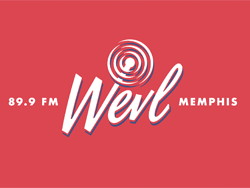 Tune in and make your pledge of support for WEVL, and pick up one of our 2017 T-shirts (design above) with pledge of $75 or more! This morning's Sunrise Serenade was "As Long As I Live" by the Spirits of Rhythm. Click on the song title to listen courtesy of Jazz On Line. 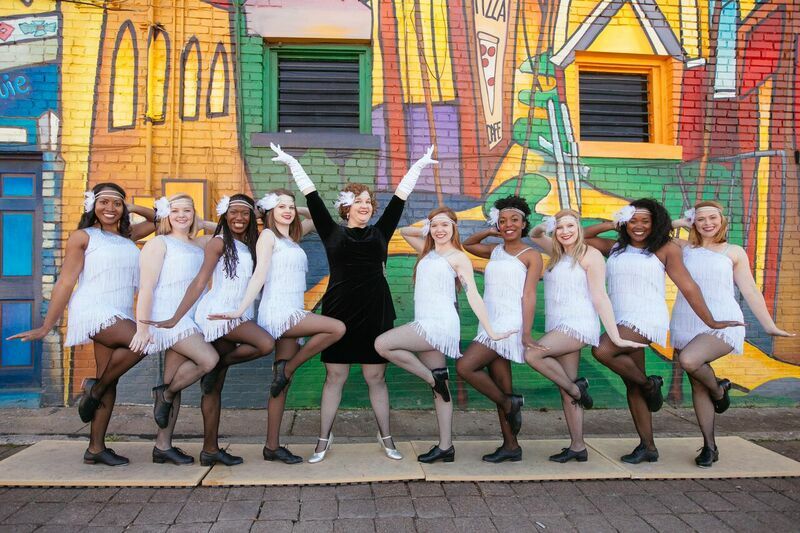 The Red Hot Lindy Hop lessons and sessions continue at the Rumba Room this Friday night with live music from Le Tumulte Noir, plus a tap performance by the Hot Foot Honeys. Free beginner lesson at 7:00 p.m. Admission is $7. Lesson by Phil and Angela with music by DJ Phil during band breaks. 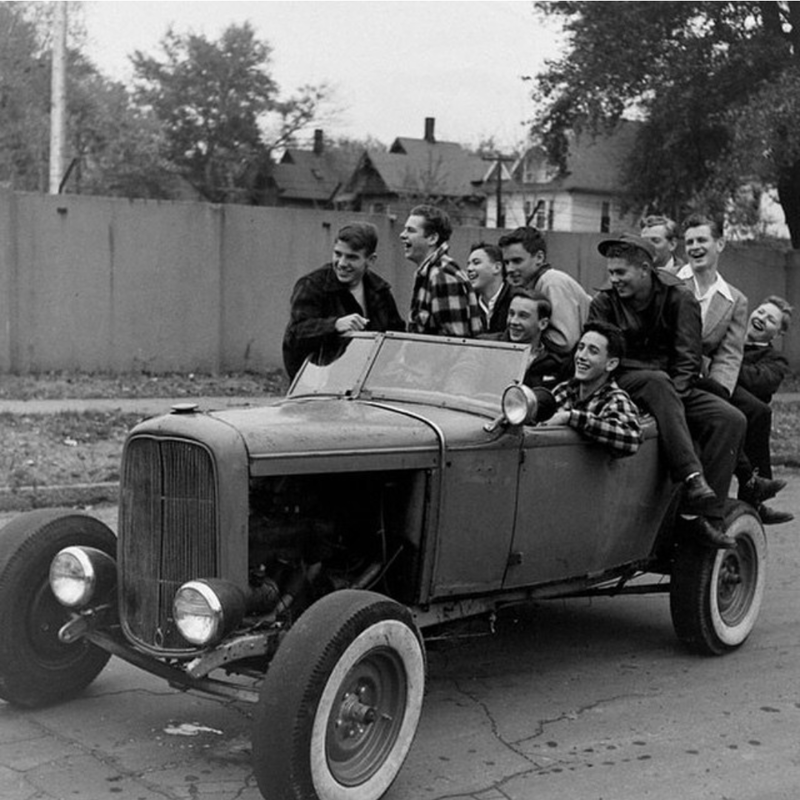 How Many Guys Can You Fit In A '32 Ford? This photo, posted on Rivet Head, reminded me of a scene from All the Cats Join In, a 1946 Disney animated short featuring Benny Goodman and his Orchestra. Everyone hopped into an overloaded hot rod and ﻿rode to the malt shop to listen to the juke box and jitterbug. This morning's Sunrise Serenade was "Candy" by the Nat King Cole Trio. Click on the song title to listen courtesy of Jazz On Line. With the help of Betty Boop, Grampy wins a "landslide" victory to become mayor. Before he can even sit in the mayor's chair, however, citizens begin complaining about various things, and threatening to oust him if he does not fix them. Donning his thinking cap, Grampy invents solutions to all the town's problems, including a novel method of urban renewal. From the Internet Archive, here is the 1937 animated short, The Candid Candidate. This morning's Sunrise Serenade was "For Dancers Only" by Jimmie Lunceford and His Orchestra. Click on the song title to listen courtesy of Jazz On Line. Today's Sunrise Serenade was "I'm Living In A Great Big Way" by Louis Prima. Enjoy the video from YouTube. The playlist for the April 5, 2017 broadcast of the Swing Shift Shuffle has now been added to the playlist filing cabinet.